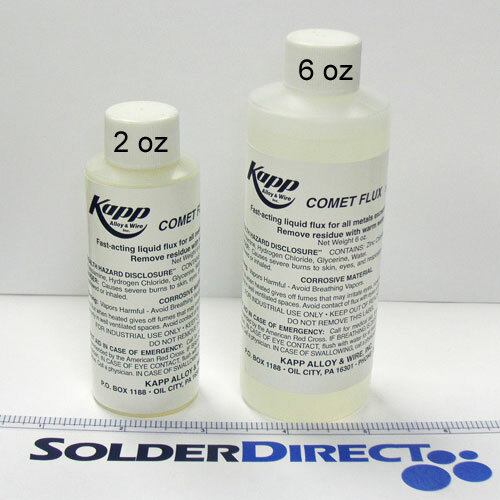 Kapp Comet™ Flux has been designed specifically for the low temperature 350-550°F (177-288°C) soldering of all common metals except Aluminum. It is an activated liquid flux, a mixture of inorganic salts in water, with approximately 35-40% active ingredients. It is highly recommended for use with KappZapp™ Silver solders on Copper and Stainless Steel. 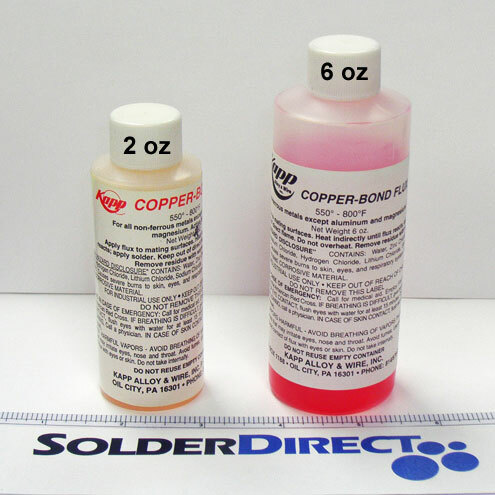 Kapp CopperBond™ Flux has been designed for the high temperature 550-800°F (288-427°C) soldering of all common metals except Aluminum. It is an activated liquid flux containing a mixture of inorganic salts in water, with approximately 50% active ingredients. It is excellent for use with KappTec™, KappZapp™, and most solders with temperature requirements above 550°F (288°C) when application is for dissimilar metals other than Aluminum. 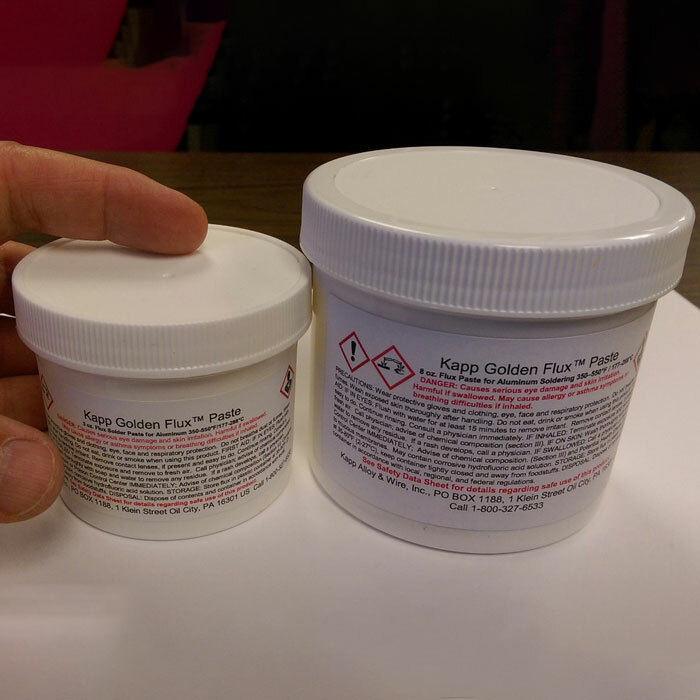 KappZipp™ is a self-cleaning non-acid petrolatum-based soldering paste flux containing Zinc Chloride. The petrolatum helps protect the solder joint against corrosive attack, while the paste form ensures that the flux stays put until soldering. Its wide activation range of 200-600°F (95-315°C) makes it ideal for field use on Copper, Brass, and Stainless Steel with virtually any heat source.